What does it take for niche news publishers to make money in the digital world? Whether for or non-profit, what are realistic ways for startup news sites to bring in real revenue? Foundation support isn’t forever. Who or what will support in-depth journalism? And how? Join right in or for background check out the stories of some participants helping us kickstart this forum. What’s a new revenue stream you’d like to develop or a tip to enhance a tried-and-true source of support? Thank you so much everybody for a terrific conversation! Comments will stay open – so pass on the url and people can come read and reply later. Might be emailing a few of you later today to close out some unanswered questions in this thread. We’ll put up a quick summary later today – see the initial readout from yesterday’s forum on local news sites here. We’ll also post a more detailed takeaway later, exploring major themes that are worth more conversation or research. Remember you can find people you talked with here through their JA profiles – just click on peoples’ names in this thread. Who if any have done or understood the demographics of their audience before they launched their projects. Of those out there in the niche world, who has done a media audit since they launched? Are people just pricing products and seeing if they take off? Do people have a sense of audience/customer base in terms of income and consumer habits/values? We combined an analysis of Google Analytics data and a survey (being on a low budget we used Survey Monkey so were limited to 10 questions). We actually got quite a bit out of that and published the results on Talk of the Sound along with our rate card (under the advertise link on our home page). There’s a lot you can do on a small budget. Quantcast.com can give you demographic data on your readers. CrowdScience.com can really take it to the next level. In the magazine world. BPA and ABC are both doing a ton of digital audits. Having said that, I think trend in purchasing is that’s being done is through exchanges. Audits seems like less of a concern, as they can test data/inventory and see how it performs. Thanks for the shoutout, eMedia Vitals. Crowd Science offers free tools to help online publishers better understand their online audience. Our free WHO tool (http://crowdscience.com/free_tools/who) uses questions created by the experts on our market research team, so you’ll get better results than writing your own questions through something like SurveyMonkey. The questions cover age, gender, education, income, country, household landscape (kids, relationship status, etc. ), plus up to 3 interest-based questions and an option for site feedback. We also use statistical sampling to invite site visitors to the survey, so you’re not bugging every visitor on your site with a survey. As eMedia Vitals says, you can take it to the next level with our paid products, but WHO is a great way to get your feet wet for no cost. A lot. We’re trying to lock down a location for our anniversary party before Friday. It’s called piecampbham. We ask that folks bring a pie or make a donation to a local charity on March 14. Last year we pulled it off in about four days; this year we’re going to spend a couple of weeks getting ready. We’re about to relaunch our #bhamchat hashtag in some interesting ways and push for a monthly happy hour-type event. We’ve seen the largest bumps in our traffic leading up to the event and sustained increases in followers and supporters – currently much more than what we see in terms of an increase in advertisers. I’m hoping I’ll be able to demonstrate to potential advertisers/supporters the type of community that surrounds the site by letting them see who shows up to the events. Andre – piecamp! that sounds fun and yummy! A lot of people have mentioned traffic – what advice might you have for investigative sites like Joe Bergantino’s, which posts new content monthly. How can you monetize deep but not often refreshed online content? From some work we’ve done, the key to monetizing deep content is to own the master narrative. That is, become the voice of authority (through your coverage, of course) on a subject matter – and work diligently to hone that subject matter so that it isn’t too horizontal. Deep coverage is vertical. Readers and underwriters appreciate the focus – and that helps weed out who is NOT your audience or underwriter community. Maybe after publishing there can be follow on updates with greater detail on a particular story — for example, publishing reporter notes, recordings of interviews, links to source material. I would imagine there is a ton of content gathered to complete a story, rolling out the background material in stages might help. Having reporters actively engage in comments every day in the weeks after publication. I used to use Google Reader to mark shared items in my the many hundreds of feeds I follow and then display a block on the site with “Elsewhere on the Web” items, links from other sources relevant to a topic. Since Google got rid of that I switched over to the new Delicious which works for this purpose. Have to sign off. Thanks all. Glad to follow up personally or on thread at a later date if that works. Thanks for joining in Bob! Everybody – remember you can find folks you talked to here again through their JA profiles – just click on names here in the thread. We’ve seen content collaboratives work very well in some regions – Seattle being perhaps the best example, with local blogs partnering with The Seattle Times, driving traffic and creating collaborative journalism coverage models. But the revenue side hasn’t appeared. That doesn’t mean it can’t work, though. 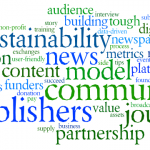 Have any of you pursued partnerships with local mainstream media outlets, especially one with financial upside? We’re driving our content out through mainstream outlets that pay. They have the money–although less than 5 years ago–and they have the need for strong content. It’s a good match…and we’re serving our mission to ensure the survival of in-depth investigative reporting in our region. Cornelius Swart from the ONN is here. Hi Cornelius!! What do you think it would take to make networks like this and in Seattle bring financial benefits to participants (including the convening legacy outlet)? We are syndicating. We produce one story and sell it to multiple outlets. For example, here in Massachusetts, we make more money selling one story to 10 outlets–and actually reach more people–than by selling one story to The Boston Globe. Need to sign off also. It’s been a terrific discussion. Thanks everybody. Well, I can’t speak for Seattle, but right now we have a great relationship with an online only partner http://www.neighborhoodnotes.com. We publish some of their content in a weekly column in The Oregonian newspaper. The column is about openings and closings in the neighborhood retail world (a storefront piece). In print they essentially become a freelancer and we pay them for that. We don’t put the column online at all. Then NeighborhoodNotes republishes all their material at the end of the month for their own business roundup post (which they’ve been doing since before this arrangement). When they post their content, we excerpt a small bit online and link back to them through the ONN network model. It’s a full circle. We are able to pay them for work that they are going to do anyway. And we work within a freelance framework in terms of budget and workflow on our end, which is much more predictable for us in terms of estimating our own ROI. I’d like to see if we can expand this model to other partners. 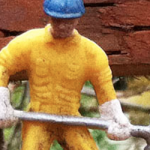 A few thoughts on freelancers, from someone who has hired many over the years. If you have money, you do tend to get better quality for more money. That said, none of us have a lot of money to pay freelancers, I am betting. So what we do is find a good one and pay them by the day, rather than by word or story. That way, they know they get a fair wage, and they know what it is. If it works out, we pre buy a certain number of days per month–so that helps them pay their bills, etc, gives a steady outlet, and so forth. And if that works out, we also give them some options–so that they have a bigger stake in our success and are part of the team. 2) Advertising for freelancers on MediaBistro and JournalismJobs yields better results than Craigslist or blogger-focused boards like ProBlogger. 3) You get what you pay for. 4) If you want freelancers who don’t require a lot of editing, make sure you talk to their previous editors. Don’t be wooed by just the names of publications they list; get into the weeds of their actual clips. Quoting Diane Lund below: I think we need to convince our readers that news isn’t free. I believe that there’s a direct correlation between the comodization of certain news and the lack of appreciation in its value. That’s why I’m so bullish on investigative and public interest journalism! Organizations – be they for-profit or nonprofit – that can super serve a community or vertical (such as the health industry example below) – have greater opportunity to monetize their content. That said, not everyone can or will pay. So understanding and being able to target potential customers vs audience members is a key point. In many cases we see customers who are not regular readers of our member organization’s content support them without reading or viewing their content regularly. This also speaks to the need of having a clear and authentic view on a market and the ability to articulate your value accordingly. Sorry meant to write commoditization not comodization (or turning out content in the commode). I’m very wary of using words like “convince” and “should” when it comes to consumer behavior. Marketing that message and walking the talk helps users recognize value, and then (as with advertisers) you have to be bold enough to ask for the business. “Please support our site” is less resonant than “No one covers BLANK more than BLANK.com, and here’s why: Example, example, voice of other supporter, testimonial, award.” Members are better than micropayments, and subscriptions have become very episodic. Andre makes a great point. The main culprit of scarcity is simply not asking for the business. Events can be a great way of getting people together and then asking them to support your efforts – rather than charging admission. Rusty, agreed. Membership > micropayments. Events are also great sponsorship opportunities. Have to take off as well. Thanks everyone. Joe Bergantino – you actually sell your content to other news orgs. Seems like niche sites would have a particularly good shot at that. But here in Oregon, for example, there is a nascent network of blogs with the major newspaper, in which no revenue changes hands. What does it take to make money by selling content? I think the first step is truly believing your work is worth money and that you shouldn’t be providing it at no cost. The movement of nonprofit investigative sites over the past four years began with all of us giving it away. We came to the obvious conclusion in the summer of 2010–18 months into our venture–that giving anything away is not a business model but rather an road to bankruptcy. We began talking with editors across Massachusetts, explained that we were planning on launching an investigative reporting subscription service and we put a value on our stories. They all agreed to pay–on a sliding scale. In 2011, our revenue from content sales was about $80K. We launched the service with foundation underwriting and we believe, over the next two years, we can keep it profitable at that level and more as we go forward. We were approached by Digital First to partner with them at The Oakland Tribune. They offered us–traffic! After we stopped laughing, we asked if they wanted to buy our reported content and/or sell ads for us. Answer: Uh, no. Legacy FAIL. Other than being a Jets fan (http://bit.ly/ysGPLQ), I can only wish that Jim and DFM would buy up the Journal News in Westchester County, NY where we have to suffer with the half-baked lohud.com site. We sure could use someone at our only Tier 1 newspaper who understood Web 4.0 or whatever we are on right now. Kevin’s IRS point is important–we sell fixed placements, not impressions for our ads—we don’t promise CT etc. Not sure what thread to put this on, but here is one thing that might help: We are getting much better and offering integrated programs for our underwriters. Sponsorship of events, online branding, sponsorship of tweetchats, branding on special reports, invitations to private dinners. That provides greater value. We also do most of our business in annual programs, rather than monthly. That gives us money up front and also more time to work with the underwriter to make sure we provide value. Have you experimented with sponsored content or sponsored post series? What is the value prop you make to your sponsors on these products? How do you describe your audience to them? What qualities does your audience have that sponsors wish to gain access to? Who are the sponsors that have put money down on these products? No, we don’t do sponsored content. Our value proposition is extremely high-quality news. We feel that sponsored content would undercut that and hurt our brand, turn off our audience, and in turn reduce the value to the underwriters who are paying for access to a high quality audience. The reason we have that audience is because we have unfettered content. This is Ikaika Hussey from the Hawaii Independent. We achieved profitability in Q3 and Q4 2011 via ad sales; in that period, I spent almost 100% of my time on sales. This quarter, we’re launching what I’m calling the ‘cooperative press.’ We’re reincorporating as a for-profit co-op so that we can sell shares without dealing with the securities process. Our team is approaching core readers and asking them to purchase subscriptions and stock in the company; subscribers get discounts at local advertisers and ability to recommend stories, and shareholders get a share of profits. That’s an interesting idea! Is there a media outlet – or a totally different business – you’re modeling yourselves after? Also, Ikaika, I’m wondering why you decided to change models and re-launch, if you were profitable two quarters last year via ad sales. We didn’t re-launch, but we did reincorporate to accomodate more owners. Broad local ownership has been part of our mission since founding in 2008. For the last 18 mos. we’ve been working with attorneys to figure out the best way to execute it. So our approach is to take the position that we’re building a community institution, so it should have a democratic structure. Also, you should check out Tom Stites’ Banyan Project; they’re working on a co-op model too. Co-op owners can vote for our corporate board, and can participate in online and in-person discussions about stories we’re working on. Without readers no business model will work for a niche news publication whether that be subject, industry or hyper-local. And from what I understand, you’ve been more interested in developing community support through donations, not ads. Anyone have suggestions about how to do that? Robert Cox – I think your perspective on ads might be interesting to Diane. I think you told me you wouldn’t take ads at first – but then you shifted. Can you tell that story? One thing we discussed at Super Camp regarding donations (which is a form of sales, as public media folks know very well) is to implement a CRM tool and load it with your donors, just as you’d add your underwriters or advertisers. It’s a good way of growing the business and keeping your donors loved – you know when to touch them, what their interests are, etc. Bonus: There are free CRM tools. 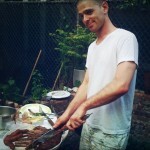 BTW – Andre Natta from The Terminal in Birmingham, AL here – we added a donation button in the sidebar and made the ask. We’re getting ready to ask more often. It’s surprising when folks find out just how easy it can be to give and support. We’re also getting ready to attempt underwriting a couple of major series as the site shifts its focus to the city limits specifically. Rusty, what kind of resources (time, bodies) should publishers expect to put in to Customer Relationship Management, as you reference above? And any evaluation of pros and cons of different tools? Hi Andre–how has the donation button worked? Are you a non profit or for profit? We’re a for-profit – and it’s worked pretty well. There are more click-throughs than donations though. We’ve had more success attempting to sell t-shirts to the folks in our community. They feel as though they’re helping us get the word out while supporting us financially at the same time. The time/bodies corresponds to the number of donors/advertisers you have – so spending more time on it is a reflection of your success. It’s busywork and no one really likes that – I’ve implemented across multi-site companies and the complaining about how “this keeps me from doing my real job” was endless. But measuring your success is how you become more successful. If you Google “CRM Evaluation Checklist” you’ll get a great head start. Talk of the Sound has a definite agenda – take on an expose corruption in the public sector. We treat New Rochelle, NY like an island. We only cover New Rochelle, a small city where, it seems at times, that everyone is someone else’s cousin. If we run a story on a corrupt sanitation official there is a good chance he has family members who own or work at various business in the city. Given this, we did not take ads from any local advertisers. What changed is that we over the past four years we have developed a reputation for getting our stories right — there have been various arrests, demotions and firings based on our reporting — and we became the largest media outlet in our city. As we achieved critical mass (i.e., the ability to punch back when threatened) I became more comfortable that we could get advertisers who would not try to use ad buys to manipulate our news coverage. That said, I have received various death threats (2 serious enough to report to the police) and our local advertisers all get emails from some of these people threatening to boycott their business for advertising with us. As a result, we don’t just take an ad from anyone with money. They have to be people who support the mission of the site and will not pull an ad based on these sorts of threats. To the issue of ads or no ads. Diane is a partner with The Oregonian, The Oregonian News Network. What I hear a lot from nonprofit sites is that advertising represents a conflict of interest/perception of conflict of interest. That’s a good impulse, but folks may be throwing the baby out with the bathwater on that. There are lots of types of advertisers, or if you are 501c3 sponsors out there. Some clients or client types certain represent a conflict of interest some don’t. I think you can harness advertising/sponsorships without compromising your brand integrity if you are careful and precise about it. Our brand is our integrity. I live in New Rochelle and I report on people my kids go to school with, neighbors, people I see around town at various social events. To do the sort of reporting we do, you have to be prepared and accept the consequences. Sometimes that means getting an earful from people standing on the sidelines at my daughter’s lacrosse game or being snubbed at a party. What has happened is that after 4 years people have begun to realize that no matter what we are going to follow the facts where they lead and so even enemies have a grudging respect for at least that part of what we do. I’d like to know if anyone has generated much income from doing webinars and if so how successful have they been? We havent done webinars. This is a skill set we haven’t had until now. I know others that like them quite a bit and get good revenue, but they usually involve a research report or something like that–things we havent yet gotten into. Bob, can you describe what you do to decide whether to invest in a new skill set that might bring in revenue? Well, what we TRY to do is come up with a concept and then pre-sell it, so we don’t push ahead unless we know our costs are covered. We are fortunate to have some great underwriters who will take a chance on new things. They know they get a lower cost of entry if they come in early. The same when we go into a new city: we won’t go unless we have circled enough up front business to pay for one year. What are the best things to do to “pre-sell” a concept? Usually we mock it up and show it to folks who seem most likely to be interested in it and describe what we have in mind. By the way, in yesterday’s forum Dan Grech, news director at public radio station KPLN in Miami, said that the average # in public radio is 10% of listeners contribute. Anyone have a clue of a number for online news sites? Hey David! Welcome! You come at publishing from the business-first perspective. Do you see any particular opportunities for niche sites – investigative, health, arts, other – to monetize? It depends somewhat on the niche (and the demand for the content). I think events and research/consulting can be very good for some types of sites, others are better served by a subscription model for premium content or sponsorships. Any tips for individual publishers on evaluating what might be best for them? This is an idea I’m looking at implementing at the Independent. For Bob Buderi – at Xconomy you do sponsorships specifically – not ads. What is the difference from a publisher’s perspective? Why is it hard to subsist on display advertising? And – sorry this is two questions in one post – but what is the way to convince companies to sponsor/underwrite? You need tons of traffic to subsist of display advertising. And even then, it is just very very hard to monetize traffic. I think small publishers have to accept that fact and work to build instead an elite audience, or very specialized audience. And then you can show underwriters and sponsors that you have a fantastic audience that they want to reach–and they are willing to pay a fair price for that. I agree. Too many publishers assume that because advertising has been a part of the revenue to support news mix before that it will continue to do so. Even sites with large numbers – i.e. HuffPo & YouTube – have found it hard to capture significant premium revenues from display. Local advertisers on local sites is a related but also tough revenue stream given that the dollars are small and the ability to demonstrate ROI is difficult. We find our advertisers are unsophisticated about traffic, for the most part, but care about click through and shared values. Underwriting has been a slow go here in Oakland but we very much want some beats supported. I think advertisers are willing to learn that it’s not about traffic as much as it is about building that community. They’re willing to pay a rate if they know they’ve got the opportunity to be seen by those most likely to do business with them. It’s part of helping them understand that it’s not always about the most people visiting a site but the people who make up the community. I’d argue that display advertising – or underwriting – has to be part of any local news site not only because of the revenue (whether it’s sold CPM or flat rate) but also because it shows local credibility. Advertisers are often local people who sell things to local people. Not having advertisers on your site is a gap. Totally agree, Andre. And we don’t do google ads, only local sales. That doesn’t surprise me. But as more and more local businesses are being approached by the Groupon and Patch’s of the world, they are going to expect demonstrable and measurable results. Click throughs are a first step on the way toward a more sophisticated view of the local advertising market for a lot of small businesses. We try to slice and dice our content and offerings in ways that appeal to underwriters and advertisers. So, Xconomy has six city/regional sites: Boston, New York, Detroit, SF, Seattle, and San Diego. Underwriters can support a city, but they can also choose to support a channel: Life Sciences, Health IT, Startups, and Cleantech. Further, they can support multiple cities or multiple channels, with ever bigger discounts for ever bigger deals. I agree with Rusty on this completely. And I am not suggesting that sites – especially hyper local sites not pursue advertising for this very reason. What I DO think that publishers need to be aware of is a) that there are a number of well financed competitors that are fighting for local advertising dollars (both traditionally and non traditionally) and that b) that as a result local businesses are getting more sophisticated and c) its going to increasingly be a dogfight so be prepared to tackle this revenue stream wholeheartedly, with dedicated resources and a good plan of attack. Also, a key point for nonprofit publishers specifically is understanding the nuanced implications of the differences between advertising and underwriting as the IRS see it. Simply put, any promise of performance – i.e. x number of click throughs or impressions, is advertising and MAY be considered by the IRS as unrelated business income. Display space “thanking” an “underwriter” for their support – a la NPR – should be permissible. Absolutely, whether you’re a local site or a niche site, you have to focus on your target advertisers for all the reasons Kevin states. Plus, as Rusty says, relevant ads create credibility with your readers – like it or not. I also would add that readers enjoy and appreciate useful advertising – emphasis on useful, as they define it. Does anyone know of other sites that simply don’t accept advertising? Just waving hello to everyone. Hi Susan! You impressed me with your quick list of seven revenue streams you’ve developed at Oakland Local. Can you run through that here? Can you offer any evaluation of what is most worth the effort? Well, sponsorships of over $6,000 and large grants of over $50,000 are *most* worth the effort, but they’re harder to come by. The biggest issue with local ads is cost of sales, so we try to have a very affordable offer and sell 3 months or more at a time. We have a mission to train, so the workshops leverage team skills, and we also have a community focus, so the events fit our mission and make a little $$. OH, we also do some social media consulting for clients! Hi Susan, When you say sponsored content, how does that work? And do you identify it clearly or put it in a well outside your news section? Social media consulting was something Emily Lowrey of Magic CIty post mentioned in yesterday’s forum as a good source of revenue. So how much of your resources would you say go into developing revenue, and how much to developing content? I meant underwritten, not paid editorial ads. We’re a news and community site, so more than 50% goes into content—but we can’t afford to neglect revenue! @susan thats very interesting re the social media consulting angle. Can you describe a bit more? On the advertising front, we are part of the IDG ad network. They sell the ads and take a big cut. We rarely sell direct, as Susan says it is hard to justify the time of the sales staff for the return. Sure, we borrowed the idea from Ben Ilfeld at Sac Press: we can help clients with their FB pages, twitter, metrics, marketing for an event–with a different team than does the reporting, obviously. @Robert I am familiar (and use) Buy Sell Ads – and they take 25%. We have been very happy with the process/app though, particularly and pleasantly surprised how advertisers keep allowing the automatic re-up. What is IDG’s cut and how do you like their service/app? We are open to anyone who wants to pitch us on selling ads. Over the past years some of these companies have come and gone. What has remained has been Google AdSense, Commission Junction, Amazon Associates. The only agency we use now is Local Yokel which is a start up out of Connecticut. Local Yokel is competing against Google AdSense and pays us monthly based on impressions. What has been good for us is that they are serving up ads from national companies like Hyatt, GM, McDonalds and so forth. When we put them on our site and local businesses saw those ads we started getting calls asking about how to advertise on Talk of the Sound. On social media consulting, what we have found is that many small business do not have a web site at all. We need them to have a presence on the web so we help them to do that. We offer a package where for $1,000 we will reserve their domain, set up a basic wordpress site and then connect Facebook, Twitter, et al and get them started. Included in that is a one month ad in a secondary position on the site. We have sold over a dozen of these in the past year and several then became regular advertisers. @Robert we used Local Yokel recently for a political campaign and had a very good experience. Definitely like their model and targeting local publisher’s sites in the candidate’s district was important part of an overall strategy that included pre roll on You Tube and Google display network and search. Diane Lund, you mentioned to me ahead of today that you are thinking about offering a paid subscription service for premium content, but you’re unsure it’s worth the effort. You’ve done it in the past – what are your reservations now? Jumping in here. It just seems near impossible for a small site to charge for its content, unless it is premium reports, that kind of thing. You might be able to do it if you are really specialized, but then you won’t be able to charge much, usually–and you will undercut traffic and make it harder for other revenue sources to work. Joe Bergantino – I think you’ve been considering offering a different kind of service – like a private research service. Could you describe that concept? Premium content can also be quite costly to produce and may not even pay for itself in the long run. We’ve explored the possibility of doing research for hire but as we’ve discussed it in great detail we became concerned about the ethical landmines and the impact on our own brand. We’re still exploring and hope to reach a consensus on a client who we’d be comfortable working with. Diane – how do you sit down and figure out if it’s worth it to invest in premium content? 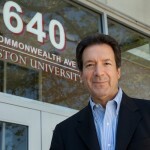 To start off – Joe Bergantino, you told me in our interview ahead of this forum that being part of Boston University provides a big chunk of financial/in-kind support plus a helpful brand name for training. How did that association happen? Are there any suggestions you’d have for other news sites seeking an institutional affiliation? We chose to be based at Boston University for several reasons. It is the strongest journalism program in Boston and the students here can be a terrific resource for assisting us with story research. But, as it turns out, the university provided us a platform for revenue generation that we never anticipated. The Boston University brand is a very strong one and provides us a brand through which we can create and market our training programs. Those training programs now account for about 25 per cent of our revenue and we anticipate that growing substantially. Here’s my advice for news sites seeking university affiliation: assess your landscape, draw up a proposal indicating what you’ll need in terms of resources and spelling out what you’ll be bringing to the table. Then negotiate for the best deal. Joe, as we discussed some weeks ago, I think your approach is smart, strong and sustainable. The University’s halo gives the training program great oomph – but it’s the training that really sells it after the initial name-recognition lift you may get. Your program now has international appeal. How are you scaling up? Rusty, great to be talking with you again. We’re scaling up by engaging in an intense marketing campaign for both our training programs. We see the most growth potential in our training for high school students. It started 3 years ago with a $15K gross, grew to $110K gross last year and we expect to bump that up over $150K this year. The international program has room to grow but because most foreign journalists can’t afford $4-5K (including travel), we need to move towards marketing to major media outlets internationally rather than to individuals. We’re working on that. Susan – I’d love to hear you weigh in on training as a revenue source. From what I understand, that’s a big part of Oakland Local’s mission. Well, we do funded training for local non-profits and small community groups–but we also do training ourselves that we charge for–small bits of $$ usually. We also partner with the local Small Business Develpment center and do training with them–we have quite a local reputation now, but the price points are low. $35-75 per call. I’m wondering how people feel about the idea that there is no one shoe fits all avenue to financial sustainability. If I was opening a restaurant around Boston University, it wouldn’t be the same kind of establishment I’d open on Boston’s waterfront. The revenue generation path depends on factors that are specific to your location, mission and other variables. That’s what I’m attempting to look at right now. Given all of the new sites appearing in our landscape, we’re taking advantage of our upcoming anniversary celebration to figure out how we fill the gaps that are being left open. I’ve started talking to folks about how we tackle covering those things and have been getting some good responses – including a few “unofficial” ones from legacy media outlets in town. Joe, that’s an excellent point – no one model fits all. The process for any startup media site has to involve understanding the needs of a community (local or topical), the competitive landscape, potential revenue sources. And a good understanding of one’s own strengths and weaknesses as well. Joe Michaud, as a business coach, what do you think of Diane’s point about ads compromising investigative reporting, above? Speaking as a career journalist first (and now a business coach), I feel there must be both implicit trust and explicit transparency between reader and journalist, or it’s all pointless. If that trust is there, I can’t imagine how ads would compromise integrity. My career arc is the same as Joe’s, for the most part, and I agree. If a display ad that appears alongside a story compromises a journalist’s integrity, there wasn’t much there in the first place. Hello and welcome to Day Two of the JA forum on sustainable journalism. Today’s focus is on ways to increase revenue to niche news sites – exploring their specific revenue challenges and opportunities. Our aim is to trade ideas and experiences, sharing best practices so everybody can bring in more money to support their work! To take part, read along and reply, or begin a new question or thread using the box at the top of the page. We have invited several people to start us off: Joe Bergantino is co-director of the New England Center for Investigative Reporting, Diane Lund runs The Lund Report, covering the healthcare industry in Oregon, Bob Buderi is founder and CEO of Xconomy and Rusty Coats of Coats2Coats is a media business consultant. Responding and sharing their own experiences are Susan Mernit, founder of Oakland Local, Robert Cox, editor of Talk of the Sound, David Hirschman, founder of Street Fight, and business coach Joe Michaud. Kevin Davis of the Investigative News Network here also. Kevin, great to have you! 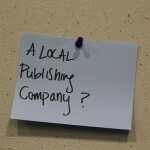 Local news publishing: What’s needed to earn revenue?